Mark Duggan, Ian Tomlinson, Jean Charles de Menezes; some people have the misfortune of being famous because they were killed by the Metropolitan Police. Blair Peach is perhaps one of the better known names on that list. Peach died from a broken skull on the 23rd of April 1979, after being struck on the head during a demonstration outside Southall Town Hall. The results of the internal investigation into what happened weren’t published until 2010, three decades after Peach’s death. 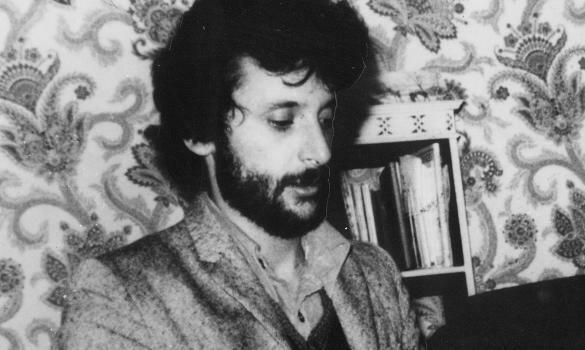 Clement Blair Peach was born in New Zealand on the 25th of March 1946. He moved to London in 1969 and started working as a teacher at the Phoenix School in Bow, East London. Peach was no stranger to radicalism and protest; he was a member of the Socialist Worker’s Party, as well as the Socialist Teacher’s Association and the East London Teacher’s Association, both within the National Union of Teachers. In 1974 he was acquitted of a charge of threatening behaviour after he challenged a publican who was refusing to serve black customers. He was also involved in campaigns against far-right and neo-Nazi groups; he was well known for leading a successful campaign to close a National Front building in the middle of the Bangladeshi community around Brick Lane. On St. George’s Day 1979, the National Front held a meeting in Southall Town Hall. The Anti-Nazi League held a counter demonstration outside the Town Hall. Peach was one of 3000 people to attend. The demonstration turned violent; over 150 people were injured (including around 100 police officers), and 345 arrests were made. Peach was struck on the head by a police officer at the junction of Beachcroft Avenue and Orchard Avenue, as he tried to get away from the demonstration. He died from his injuries later that night in Ealing Hospital. Peach’s funeral was attended by thousands of people (Source: BBC News). Peach’s death struck a chord amongst the communities he had stood up for, and across the city as a whole. A few days after his death, 10000 people marched past the spot where he was fatally injured. His funeral was delayed by several months, until the 13th of June, but that was also attended by 10000 people. The night before his funeral, 8000 Sikhs went to see his body at the Dominion Theatre in Southall. The Metropolitan Police commissioned an internal inquiry into what happened, which was led by Commander John Cass. 11 witnesses saw Peach struck by a member of the Special Patrol Group (SPG). The SPG was a centrally-based mobile group of officers focused on combating serious public disorder and crime that local divisions were unable to cope with. It started in 1961, and was replaces in 1987 by the Territorial Support Group, which also has a less-than stellar reputation amongst activists. The pathologist’s report concluded that Peach was not hit with a standard issue baton, but an unauthorised weapon like a weighted rubber cosh,or a hosepipe filled with lead shot. When Cass’ team investigated the headquarters of the SPG, they found multiple illegal weapons including truncheons, knives, a crowbar, and a whip. 2 SPG officers had altered their appearance by growing or cutting facial hair since the protest, 1 refused to take part in an identity parade, and another was discovered to be a Nazi sympathiser. All of the officers’ uniforms were dry-cleaned before they were presented for examination. Cass concluded that one of 6 officers had killed Peach, but he couldn’t be sure who exactly, because the officers had colluded to cover up the truth. He recommended that 3 officers be charged with perverting the course of justice, but no action was ever taken. The results of the inquiry were not published, and the coroner at the inquest into Peach’s death refused to allow it to be used as evidence, despite making use of it himself. On the 27th May 1980, the jury returned a verdict of death by misadventure. After decades of campaigning by Peach’s partner Celia Stubbs, the report was finally published in April 2010, although the Director of Public Prosecutions decided there was still not enough evidence to bring charges against anyone. Celia Stubbs, Blair Peach’s partner when he died, in 2009. She campaigned for Cass’ report to be published for 30 years (Source: The Guardian). If I had written this blog post more than 6 years ago, it would look very different. The death of Blair Peach was a public relations nightmare for the Metropolitan Police; a respected and well-liked activist who fought hard for local communities, Peach was a man for whom many people cared about. The Met should have been transparent, finding out what happened and punishing those responsible quickly and openly. Instead, they covered up the cause of Peach’s death for 3 decades, allowing what happened to fester, contributing to a sense of resentment and distrust that continues to this day.